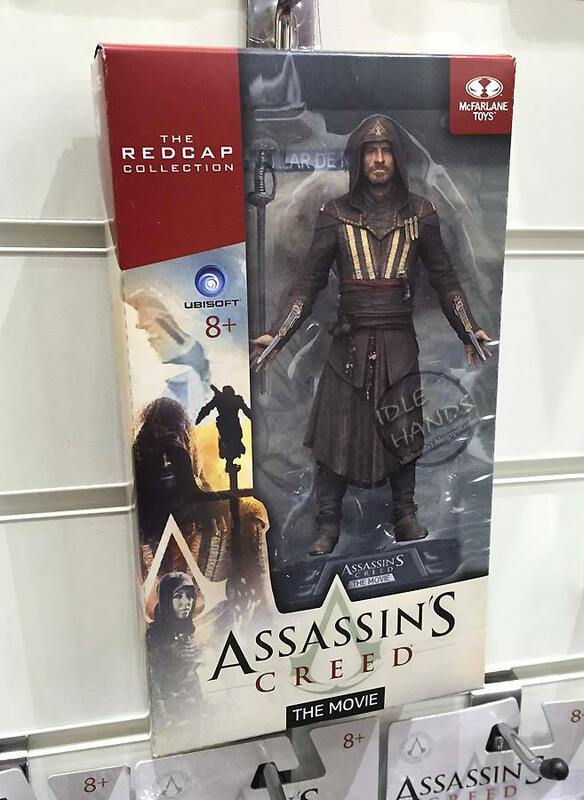 Dr Jengo's World: McFarlane Toys' Assassin's Creed Movie Figure coming? 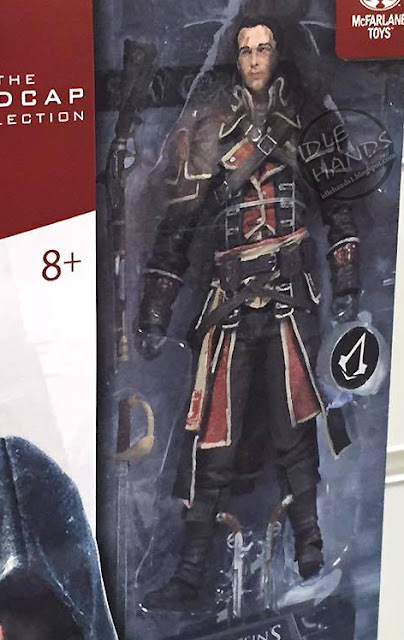 McFarlane Toys' Assassin's Creed Movie Figure coming? Some pics from Toy Fair 2016 in UK have popped up online and it looks we have something from the Assassin's Creed movie.. 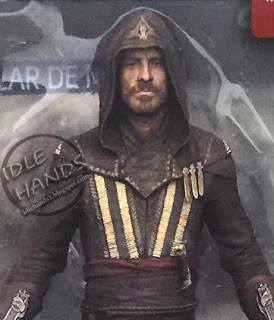 Here we have the Aguilar figure from the 2016 Assassin's Creed movie, starring Michael Fassbender. Looks not too bad, the likeness of the actor is definitely there. Hopefully production pieces can come close to that. 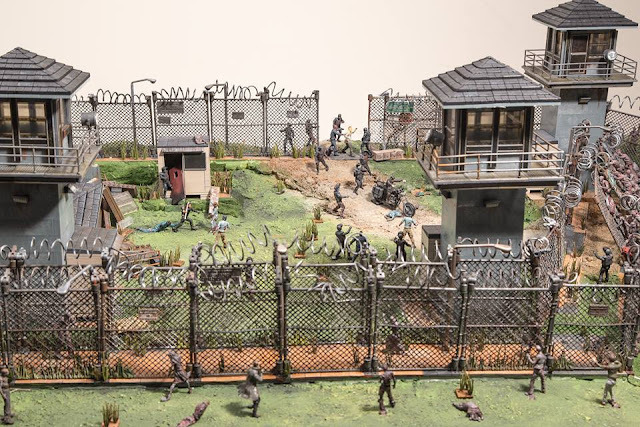 Not surprised to see a movie figure come out, I just wasn't sure if McFarlane Toys was going to do one. So, thankfully, we will have one to go with the rest of the figures. So, now the question is.. "Will there be more figures of characters from the movie? What about building sets like the ones from The Walking Dead TV show?" The Aguilar figure also comes interestingly packaged in a 'Redcap Collection' box. Not sure what that means but there's also a Shay Cormac in a similar packaging. Pic isn't all that clear but it looks like the Shay Cormac figure from series 4. Or is it a variant? Will have to wait for more info I guess..
No doubt we will see more collectibles from the AC Movie, maybe a Hot Toys one? Will be really cool to see a Michael Fassbender/Aguilar figure of their quality!